Bake at 350 for 8 minutes. Remove and cool. Beat the yolks till thick and then add the milk, rind, juice and food color. 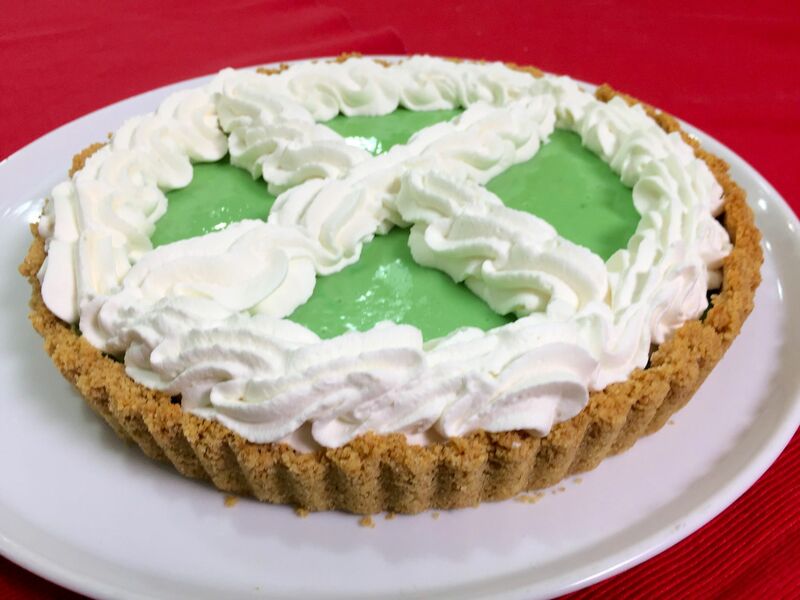 This entry was posted in Recipes, Videos and tagged Key Lime Pie, Lime, Pie. Bookmark the permalink.